The 8,600-square-foot Student Development Center is shaped like a Phoenix, Florida Poly’s mascot. The facility features a strength and cardio training area with exercise machines, free weights and lifting plates. 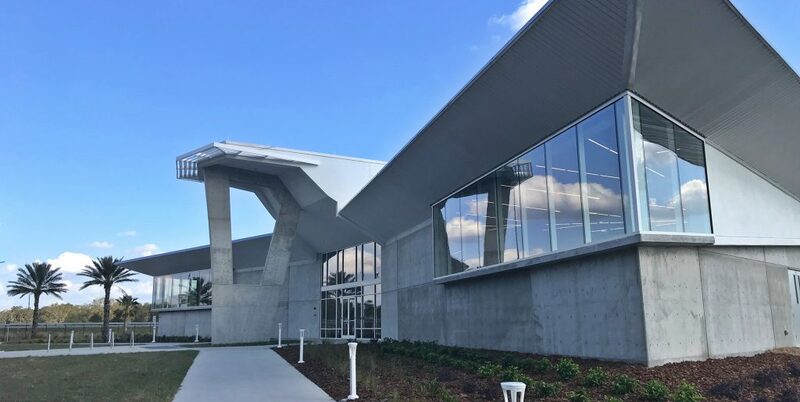 Students at Florida Polytechnic University have a new state-of-the-art facility designed enhance their on-campus experience. The Student Development Center is located at 4600 Polytechnic Circle and officially opened its doors on Wednesday, Feb. 28. The 8,600 square feet building is shaped like a phoenix (the university’s mascot) and has a strength and cardio training area with exercise machines, free weights and lifting plates. It also includes office spaces and a multi-purpose room for group training, classes and meetings. However, for many students, the main attraction is the competition-sized pool, with eight lanes and geothermal heating technology, which uses the Earth’s heat to maintain a near-constant temperature. 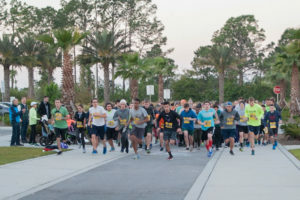 “Our main goal with the Student Development Center is to promote the health and personal growth of all Florida Poly students, as well as to cultivating a supportive campus,” said Scott Rhodes, vice provost of enrollment and student development. The building’s design, by Straughn Trout Architects LLC, used simple and elegant materials to shape the interior flooding it with natural light. It also presents a holistic approach incorporating many optimal passive and active energy saving strategies, from solar orientation to joint-use open-loop geothermal temperature control for the inside of the building as well. 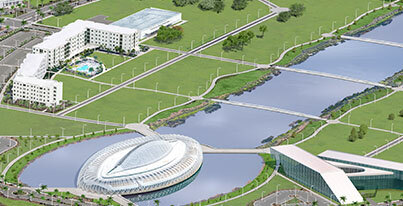 “With this signature project, our design team enthusiastically embraced the opportunity to advance the growth and unique sense of place of the neo-futuristic and architecturally distinguished Florida Polytechnic campus,” said Tim Hoeft, managing principal for Straughn Trout Architects, LLC. And achieving the building’s unique design demanded intense coordination and detailing of building components, according to Corey Miller, president of Miller Construction Management, Inc. The company completed the project in 12 months. “During the construction of the Student Development Center, layout and precision were always top of mind. With an exposed structure, the means and methods were critical to achieving the intended aesthetics,” said Miller.